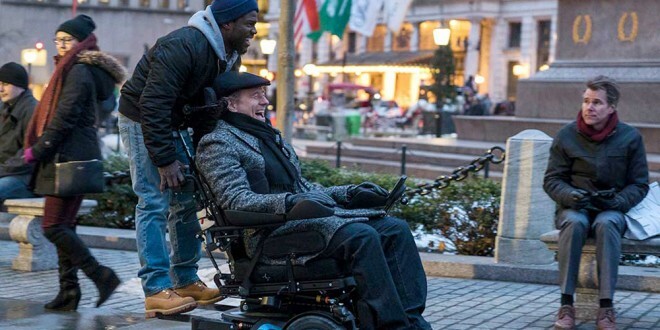 For those who saw 2011’s French “The Intouchables”, starring Francois Cluzet, Omar Sy (Cesar Award for Best Actor) and Audrey Fleurot, this rendition, despite fine actors, at best, is an anemic cloning; Bryan Cranston as wealthy quadriplegic, “Phillip” and Kevin Hart as parolee caretaker, “Dell” struggle, and mostly succeed, in capturing the implausible relationship between two disparate men, whose partnership morphs into a lifelong friendship, unfortunately, for those familiar with the scenario, it is a lackluster, enervating, repetitive interpretation. The operatic awakening of Dell (reminiscent of Vivian’s in “Pretty Woman”): Mozart, Verdi, Rossini versus Dell’s lionization of Aretha Franklin; exposure to each other’s worlds leads to pot smoking, gastronomically intemperate hotdog consumption, paragliding; pulverizing saccharine cliques into anesthetizing monotony. Nicole Kidman should have passed on playing “Yvonne”, Phillip’s doting assistant; fawning, obsequious, sycophancy is unworthy of her skills. To ward off Seppuku, I concentrated on the iconic, primarily contemporary art, in Phillip’s New York Penthouse; Cy Twombly, Ed Ruscha, Robert Motherwell brilliantly bellow from the walls of “money without borders”; director Neil Burger “milks to the hilt” those critics who pontificate that they could mimic these artists, with Dell’s stab at artistry selling for $50,000.00 to an effete snob.